It's no secret that magazines succeed or bomb based on their cover girls. Teams of editors dissect the trends to figure out whose visage screams "Buy me!" before emblazoning covers with them. We took a look at magazines that predominantly feature women to see how much diversity these cover girls represent. 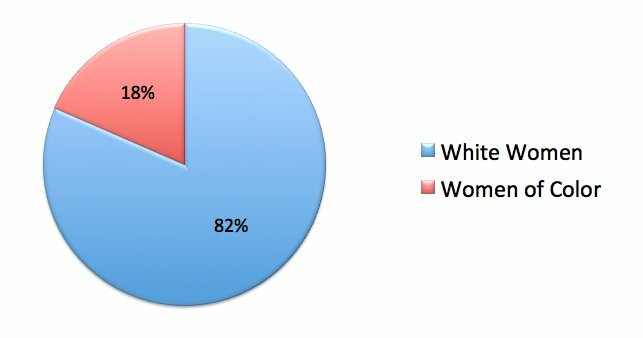 Tallying from September 2012 to September 2013, we added up the total number of white women and women of color and found some alarming stats -- in other words, the covers featured predominantly white ladies. It should be noted that we surveyed all mainstream covers (as opposed to spinoffs such as Cosmo Latina, for example), and only included those issues that featured one cover girl (the "Olympians" issue of Vanity Fair and "models" issue of W magazine were excluded). The takeaway, however, remains the same. We've ranked all our findings by percentage. Check out the numbers and tell us what you think in the poll below.